If you didn’t know, football is BIG in Alabama! (Don’t think you need that reminder, though.) People even plan their wedding days around football games! So, something this big should be appreciated in the best places around the Rocket City. Here’s your quick guide for where to watch any of the big games this football season! Has anyone been to the sweet new digs of The Martin? 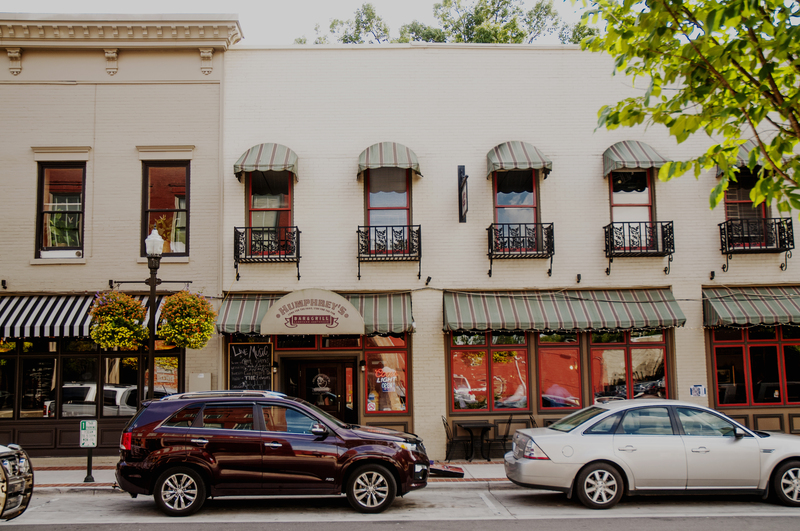 Make a point to go see the beautiful location overlooking Washington Street. Try any of their delicious artisanal cocktails and enjoy their open air bar. On Saturdays, they open an hour early (at 2pm) so everyone can come in to watch their game of choice. On Sundays, you can watch any NFL game… right after you fill up on the Martin’s brunch! If you’re not into football: People watch on the street below you, drink and watch something else on one of their many TV’s! 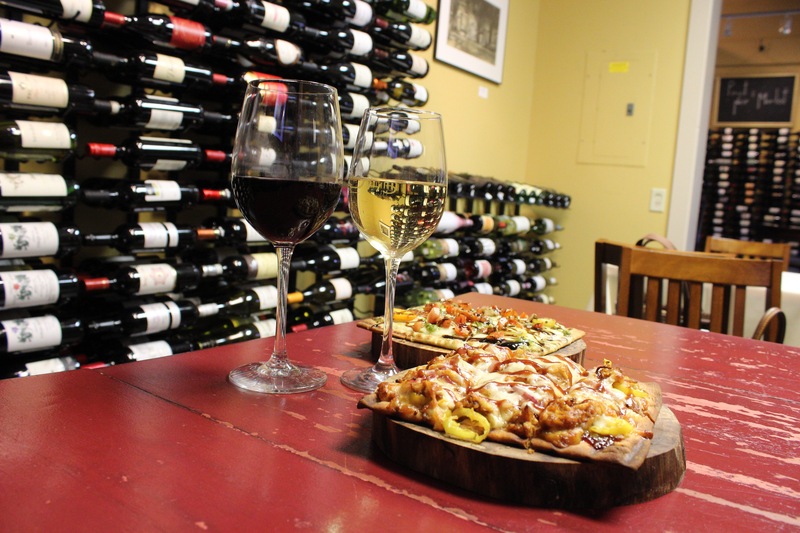 Church Street Wine Shoppe is a Huntsville staple. If you’re not into the sports bar ambiance, they just opened their loft which includes a large screen TV where you can watch the best college games. Relax in their laid back environment and try plenty of their delicious wines along with their tapas menu! If you’re not into football: Look into the Church Street Wine Shoppe Wine Club, taste test all their amazing wine and just hang out. 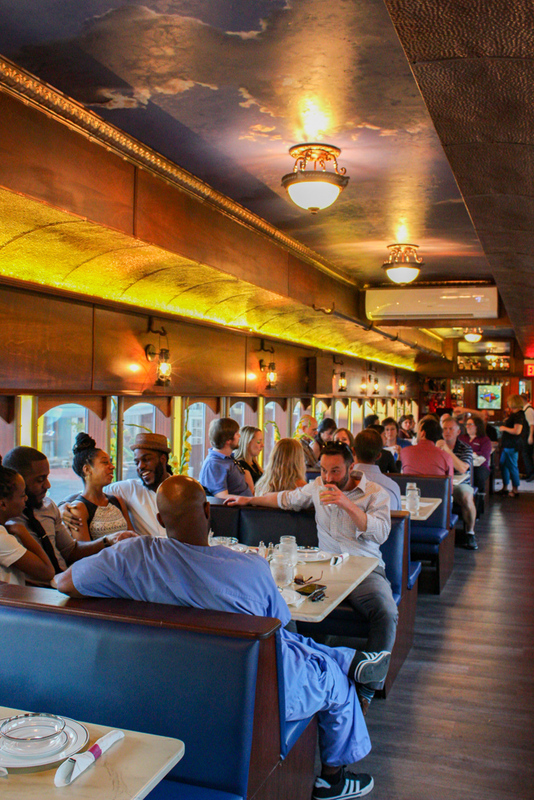 In case you missed it, AM Booth’s Lumberyard recently opened their Blue Bayou train car for special reservation dinners. Have you ever wanted to watch a football game in style? Now is your chance! For $60, you and 6 others can rent a booth on the Blue Bayou, chow down on nachos and wings, and cheer on your favorite team! If you’re not into football: Just enjoy “the ride,” drinks, and take in the unique atmosphere of the train car! 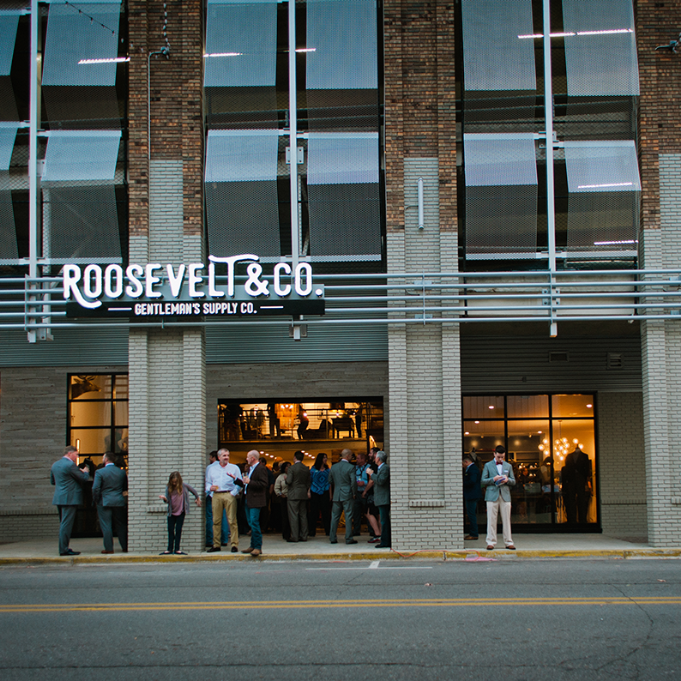 Shop and Watch: Roosevelt & Co.
Roosevelt & Co. is a favorite of Downtown Huntsville shopping. The folks that work there are kind, friendly and always ready to help make you look your best. You can even get a haircut while there! As Christmas gets closer, you’ll be busy finding the perfect gifts for everyone on your list. 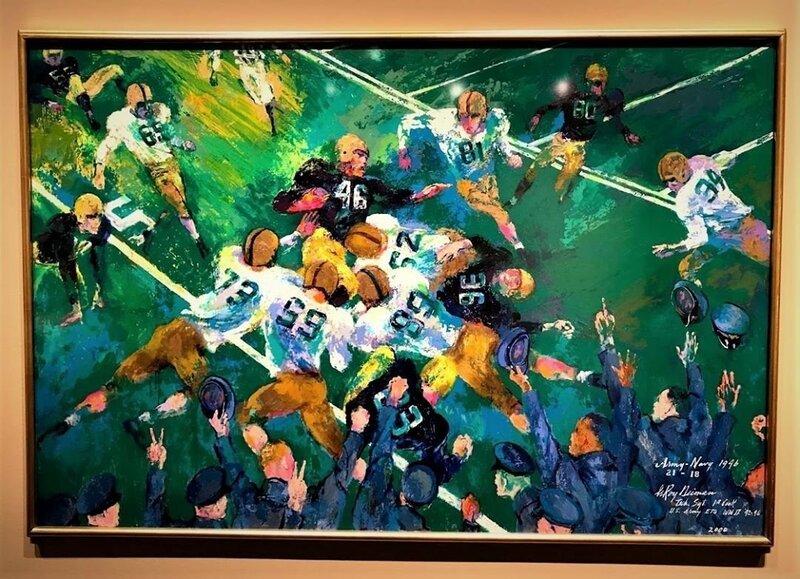 At Roosevelt & Co., you never have to miss those big, Saturday plays and you can buy for everyone on your gift list! If you’re not into football: SHOP! 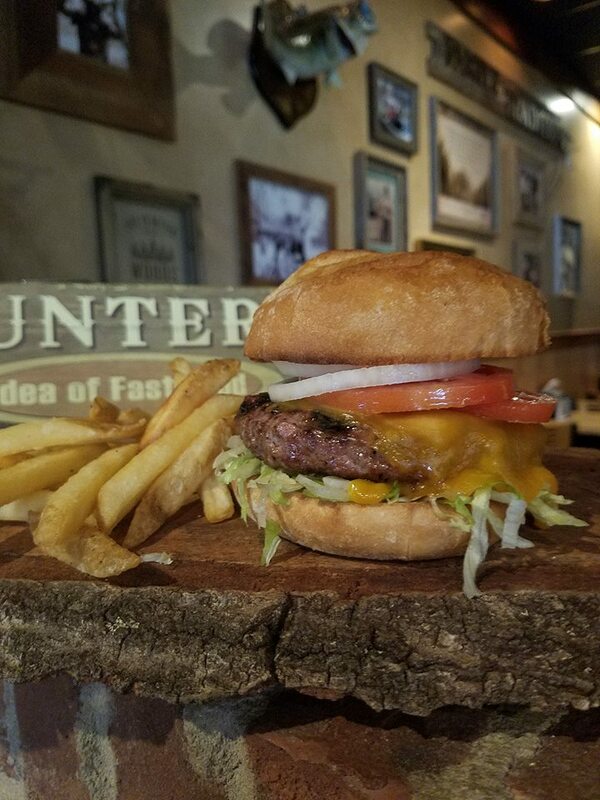 The Hunt Club has some of the best burgers around… They even made it to #5 on the list of top burgers in Alabama! They are ready and willing to make your game day even better with their incredible wings to-go. Better yet, hang out there, drink local beer and watch your favorite team! If you’re not into football: Just dig in! Their menu is mouth-wateringly good! Humphrey’s Bar & Grill - They have great football deals and it’s always the best time! Drake’s - Large variety of food and drink options and plenty of TV’s so you never have to miss a play! 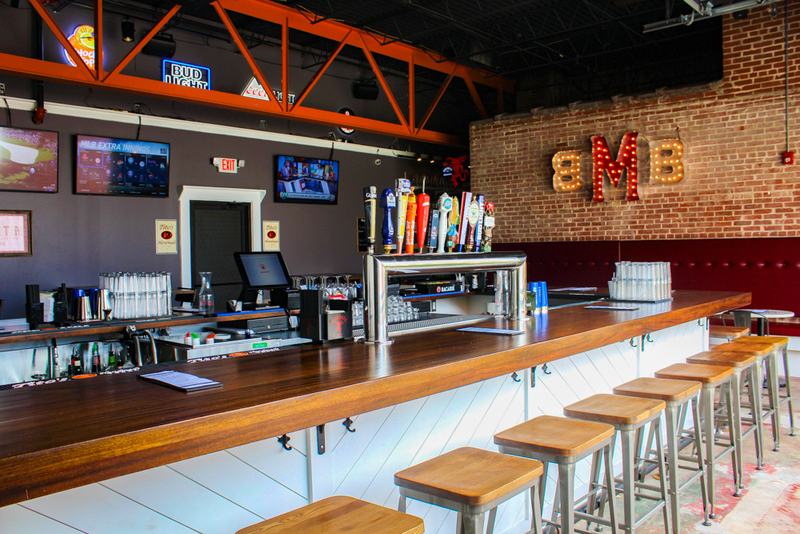 The Brickhouse - Great environment, fun Fantasy Football events and plenty to eat and drink! Alicia Revelle King is a transplant to Huntsville, like so many folks. She grew up in Orlando, Florida but found herself moving up to Alabama to attend the University of North Alabama – Roar Lions! 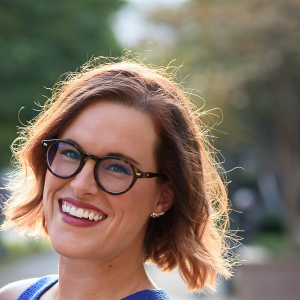 She and her husband moved to Huntsville for their first “real” jobs after they graduated and fell in love with their Five Points home along with the city around it. Alicia is the Communications Associate at the Huntsville Museum of Art. She enjoys kayaking, binge-watching anything available on Netflix and Hulu (specifically Parks and Recreation repeatedly), brunching it up with her friends and baby-talking to her animals, Pabst the cat and Banjo the corgi.